A close-up of a Hubert de Givenchy Evening Dress, circa 1964, given to the FHCC by Princess Grace of Monaco. Famed 20th-century couturier Cristobal Balenciaga once said, "Elegance is elimination." This fashion proverb tidily sums up the curation of "Immortal Beauty," the first large-scale exhibition of The Robert and Penny Fox Historic Costume Collection, opening Friday at Drexel University. The educational collection of garments and textiles spans six centuries and 14,000 artifacts. Its debut features approximately 78. To state the obvious, choosing which pieces should serve as the collection's highlights in "Immortal Beauty" was a rather monstrous task. The FHCC is a working collection; it acts as a resource for visiting scholars, is used to educate university students and often is featured in design exhibits and seminars. In other words, these thousands of artifacts aren't just hanging in a closet somewhere, being preserved for posterity. They're being studied and conserved so their stories can be told and retold. Precisely because FHCC is a working collection, the public has had very few opportunities to get up close and personal with its treasures. Instead, it's become one of the city's brightest hidden gems, kept away from the prying eyes of hobbyist history buffs and fashion lovers in a massive, high-tech walk-in closet/laboratory. With "Immortal Beauty," all of that is about to change. 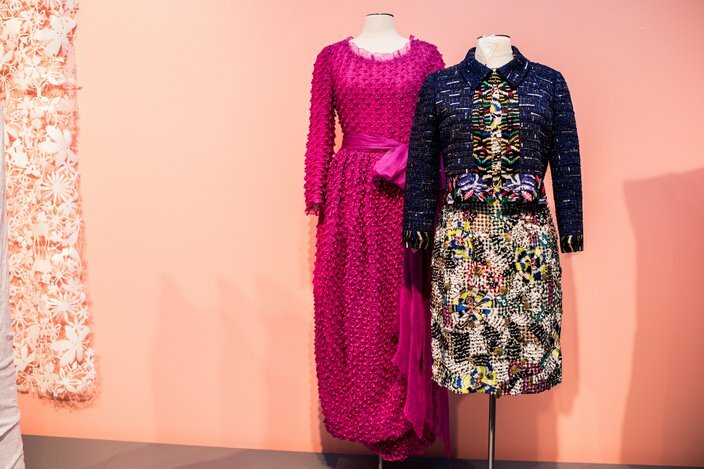 The exhibit, at the Leonard Pearlstein Gallery through Dec. 12, is like a coming-out party, except the clothes are the real belles of the ball. "I want people to realize this is a first-rate collection," said Clare Sauro, FHCC's first full-time curator. As old as the university itself (A.J. 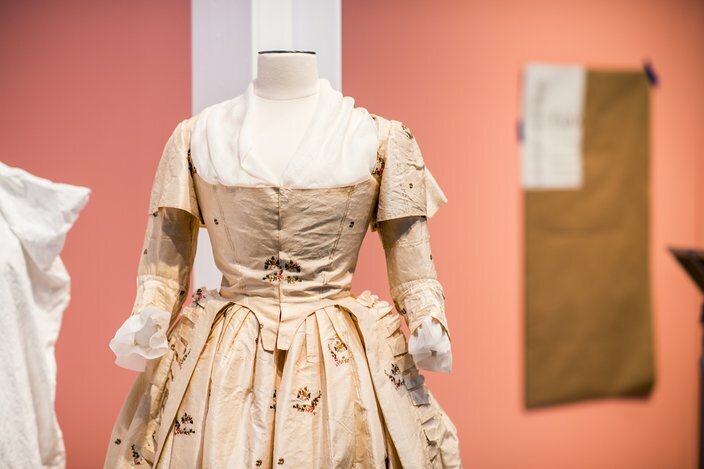 Drexel put aside funds for the collection of fine and decorative arts at the school’s founding in 1891), FHCC has received donations from Drexel supporters, faculty members, important designers and fashion plates alike. Its compendium includes designs from Givenchy, Chanel, Halston, Oscar de la Renta, Christian Dior and Philly's own Ralph Rucci. Certainly, anyone who knows their Diors from their de la Rentas will realize the exhibit’s significance on sight. But even the untrained eye cannot deny the cultural import of the collection's dazzling gowns. Marrying the desires of these two audiences - those who will want to read the wall text word for word and those who will just pass through - into one comprehensive exhibit was something Sauro struggled with at the beginning. "It's such a wonderful opportunity to do the highlights, the best of the best - but I thought, how do I reconcile that with a real tour of the collection?" she said. The answer was to construct the exhibit chronologically - rather than, say, thematically - so visitors with all levels of costume knowledge will be able to comprehend the exhibit in a similar way. 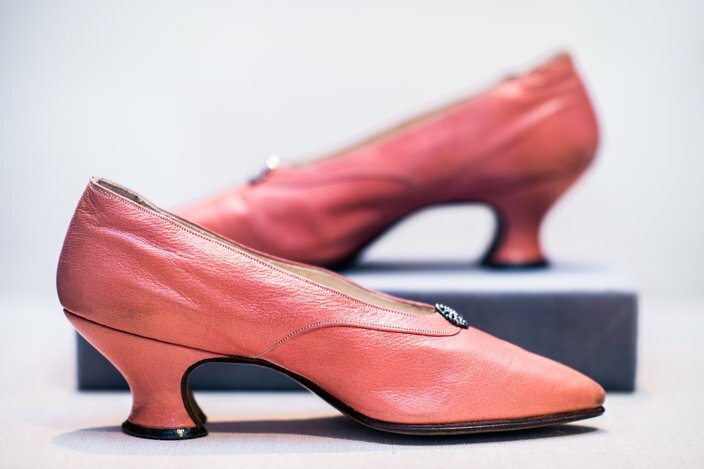 Following a path dotted with shoes, accessories and hats, visitors will move on to the exhibit's crown jewels: a Charles James gown worn by American socialite Babe Paley and a Givenchy masterpiece given by Princess Grace of Monaco. From there, a rather chaotic grouping of pieces from the 1970s to the mid-1990s represents the era's turbulent fashion scene. The exhibit finishes with a selection of modern garments that emphasize today's high-tech design and production techniques, a nod to the university and the collection's focus on technical education. "We have to always remember, that's what we're about here," Sauro said. Still, some aesthetic concessions were made to the largely chronological exhibit. A wall of hats, for instance, was curated with only visuals in mind; Sauro wanted their colors to reflect the current fall season and feature traditional millinery fabrics like felt and wool. 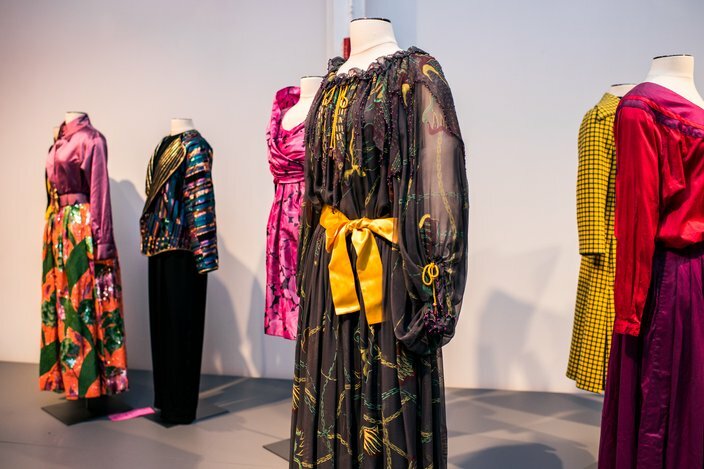 That chaotic collection of late 20th-century clothing used a color story of orchids, yellows, fuchsias and blacks to tie together otherwise disparate garments. The city's pre-pope frenzy threw the installation of "Immortal Beauty" for a loop, and some of the collection's more delicate pieces took days and many hands to hang perfectly on customized dress forms. But for Sauro and her team, excitement mounts as the public opening gets closer. As expressed by Cara Fry, Drexel President John Fry's wife and Sauro's curatorial right hand, "We've been hidden away for so long, now we want to be discovered!"